There is nothing more to add, nothing more to do. This is an important part of Paul's argument against the deceptive practices others were trying to bring in on these believers. 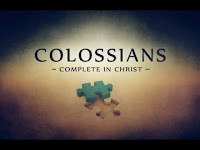 Before he begins enumerating all the things that have been done for us through Christ, he emphatically says, "YOU are complete in Him." Again, the first thing that is most necessary for any and all humans is to be in HIM. If you are not "in Him," then none of this is true for you. Get that part settled in your life TODAY. Since "God was in Christ reconciling the world unto himself" (2 Cor. 5:19), then I urge you to "be reconciled to God" (2 Cor. 5:20). Once you are in Christ, then you would do well to realize what that means, all that entails. Personal Opinion: I would like to see every church service have a place before and after the sermon where the people are reminded of who they are in Christ. Therefore, do not allow anyone's judgement about what to do or not to do hinder you, or keep you from the freedom for which you have been bought (Gal. 5:1). And, just in case you are not yet aware of it, this outward performance looks good like a religion should. 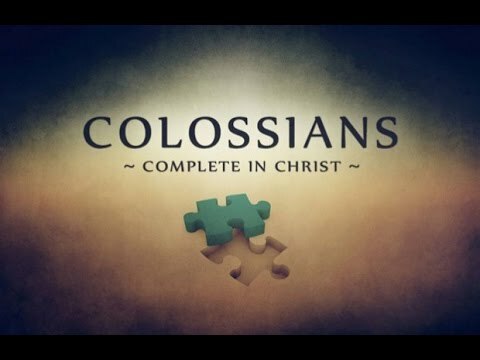 You are COMPLETE in Christ.